(TibetanReview.net, Nov28, 2017) – Around 100 Tibetans in Dharamshala as well as from Nepal, Delhi, Bylakuppe, Dehradun and elsewhere staged a protest Nov 27 at the secretariat of the Central Tibetan Administration over the recent abrupt dismissal of the Representative Mr Penpa Tsering of the Office of Tibet, Washington, DC. The protesters were stated to have presented a memorandum to the Cabinet Secretary Mr Phuntsok Tsering who in turn has informed them that it will be discussed on Nov 28, when one of the biweekly meetings of the Tibetan cabinet (Kashag) was to take place. 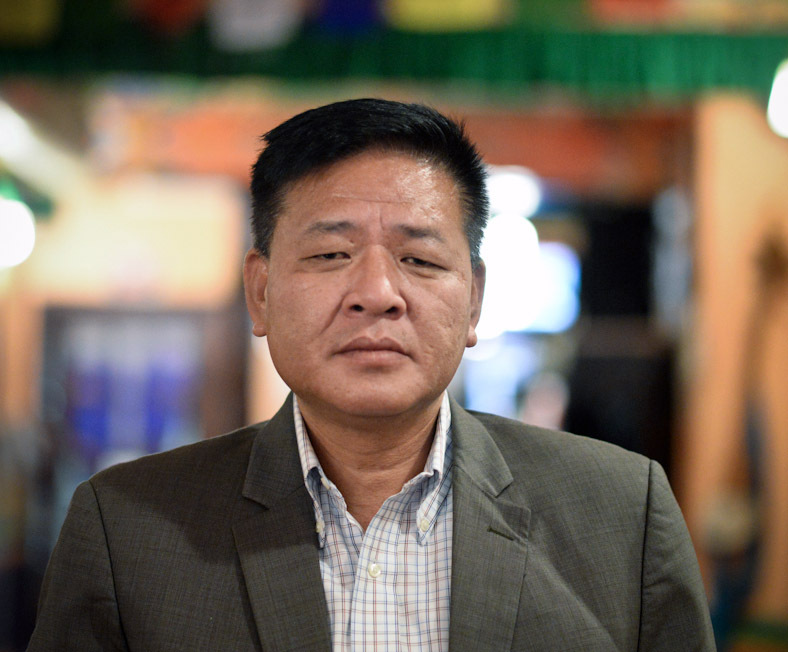 The main demand of the protesters was stated to be to call for the constitution of an independent committee to investigate the Kashag’s decision to replace the North America Tibetan representative Mr Penpa Tsering. A Nov 7 notice by the Kashag had simply said he will be replaced by the current Education Kalon (Minister) Mr Ngodup Tsering with effect from Dec 1. Following protests demanding explanation of reasons for Penpa Tsering’s dismissal from his post, with threats of a protest rally, the Kashag, on Nov 18, issued a 10-point clarification. But the protesters remained dissatisfied, with some challenging the soundness of the grounds stated for his removal and others saying the listed reasons were not of such serious nature as to warrant the incumbent’s removal from office. Under no circumstances kashag require further explanation to any one. Clarification already given was valid reason and kashag has no obligation to explain to street protestor for just removing a staff who was underformances, kashag lost its trust and Sikyong/kashag lost confident in Penpa Tsering. Under these circumstances any government or business organisation will take same action as Sikyong and kashag did. It is very common in western democratic civilised country. To my surprise and shock these people are protesting against sikyong and kashag for just removing a staff member from particular position seemed protesters are clearly lack of senses and have no idea how civil administration functions. No wonder we Tibetans are late arrivals in the world in any field and sorry to say this. Penpa Tsering has not been loyal to our Sikyong and kashag. When any staff member who is not carrying out duties as directed by his/her boss, then it becomes dysfunctional and Sikyong and Kashag cannot afford to happened that at any cost which is same to any government of any country or any business organisation. Under such circumstances Sikyong and kashag has full authority and has responsibilities to take staff review resulting to look for replacement of Penpa Tsering.